If you need a fast, efficient and affordable rubbish removal service in Sydney - contact Paul's Rubbish Removal today! 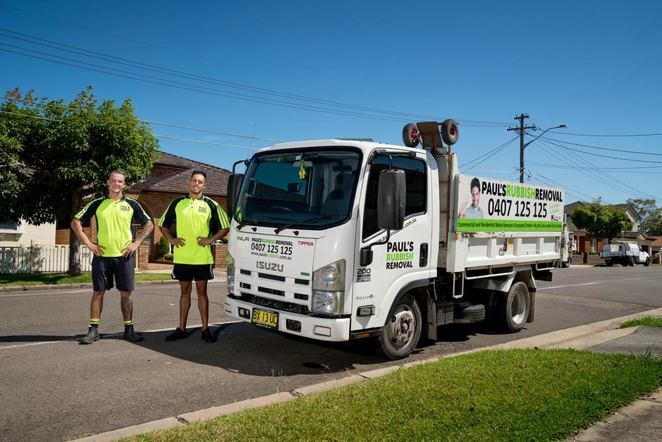 Whether it is a small rubbish collection job and complete property clean-ups and junk removal, the Paul's Rubbish Removal will get the job done! They can remove or dispose of household rubbish, garden rubbish, white goods and unwanted household furniture rubbish, bricks, cardboard, concrete, soil and timber rubbish from residential households, offices, retail locations and building and demolition sites in every suburb of across Sydney's metropolitan area. Paul's Rubbish Removal also always ensure that your rubbish is recycled or removed responsibly. For a same-day and hassle-free rubbish removal and clean up service in Sydney, contact Paul's Rubbish Removal on 0407 125 125. Book a service online at www.paulsrubbish.com.au and save $50. All enquiries will be responded to within just 15 minutes (during business hours).